The CSULB College of Engineering has made gains in awarding degrees to underrepresented minorities in the latest rankings from the American Society for Engineering Education. 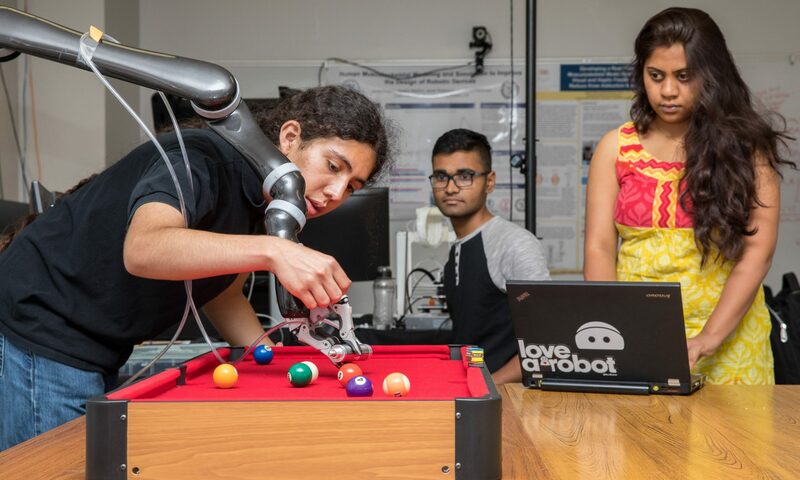 CSULB ranked 8th among U.S. and Canadian universities for the number of engineering bachelor’s degrees awarded to Hispanic students in 2016, the most recent year for which statistics are available. That is up from 10th in the previous year. CSULB also ranked 17th for the number of engineering bachelor’s degrees awarded to Asian-American students in 2016, an increase over 2015’s 19th–place ranking. CSULB ranked 16th for the percentage of women tenure/tenure-track engineering faculty, up from 17th the previous year. At CSULB, more than one-quarter of T/TT engineering faculty are women. Another area where CSULB ranked high was in the ratio of bachelor’s recipients to faculty—4th for three years running. ASEE’s latest annual report also underscores the growing strength of CSULB’s engineering program. The college ranked 39th for undergraduate enrollment and 39th for the number of engineering degrees awarded in universities in the U.S. and Canada. ASEE compiles statistics from hundreds of engineering schools in the U.S. and Canada each year to provide students and administrators with a gauge of how well universities are performing in certain metrics.